Eobot is an easy to be used and affordable way to start mining for Bitcoin, Litecoin, BlackCoin, Namecoin, Dogecoin, Dash, Reddcoin, BitShares, CureCoin, StorjcoinX, Monero, Counterparty, Stellar, Bytecoin, Peercoin, NXT, and MaidSafeCoin. 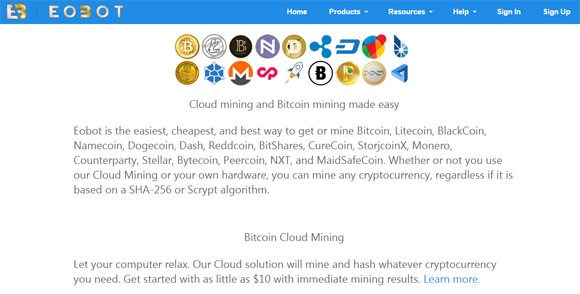 You can go for the Cloud Mining services offered or even mine with your own hardware in Eobot’s mining pool, you can mine any cryptocurrency, regardless if it is based on a SHA-256 or Scrypt algorithm. There is even a Cloud Folding option offered by the service where you will be getting Curecoins in return for the hashrate used for medical research. Eobot has two types of SHA-256 cloud mining contracts GHS 1.0 and GHS 2.0 with the first one available for just $0.18 USD per Gigahash, but with higher maintenance fee and the other one costing you $0.50 USD per GHS with a lower fee and thus higher profitability and faster return of investment. 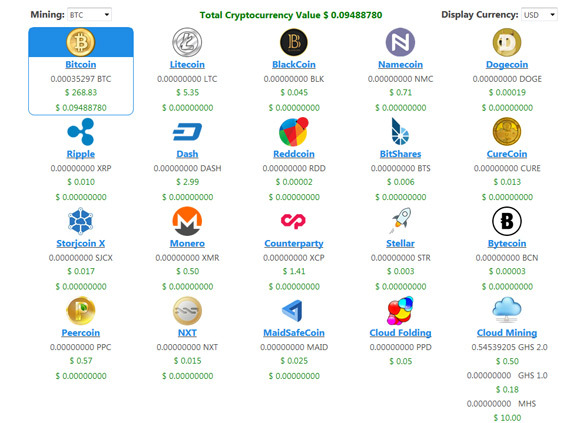 You can purchase hashrate with the various crypto currencies supported by the service by depositing BTC, LTC, Dash, DOGE and many others or pay for hashrate using PayPal. You can also easily exchange between different crypto coins that you have mined inside the service, so you can be mining Bitcoin, but withdraw your earnings in Litecoin etc. 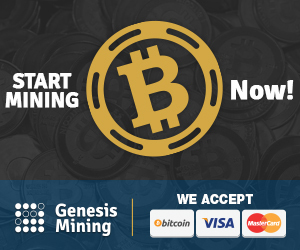 The best thing is that there is no minimum limit for the hashrate you can start with, it could even be just a fraction of GHS and you can get some free BTC from the built-in Faucet. 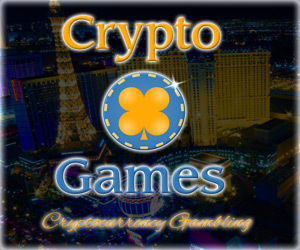 There are also other rewards for using the service such as daily DOGE reward for just logging in and so on.